SK Planet, the e-commerce arm of the SK Group, has announced plans to change the dynamics of the mobile commerce market. The company has launched a new “smart shopping” service called Syrup that is designed to leverage SK Planet’s big data to provide specialized services to mobile consumers. The service is meant to integrate the company’s existing services in order to make itself as widely available as possible and achieve its goals of become a powerful new mobile commerce platform. Syrup is meant to integrate SK Platent’s OK Cashbang service, a cash reward and discount network; Gifticon, a couponing service; and Smart Wallet, the company’s mobile wallet platform. By combining these services, SK Planet believes that Syrup will have a broader appeal and be more useful to mobile consumers in South Korea. The service is designed to be customized by those using it, however, which means that people will ultimately decide how Syrup works for them and whether or not they want to use the service’s auxiliary features. One of the defining features of Syrup will be its used of defined virtual zones. There are more than 200 of these zones set up in business districts throughout South Korea. When a person enters these zones, they can receive shopping information on their smartphones and tablets. 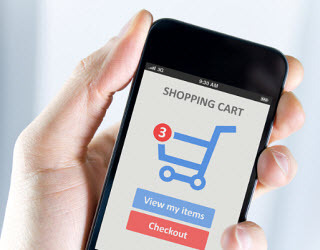 This is meant to help people find stores that offer products and deals that they are interested in as well as stores that have mobile-centric services.